Ever felt down and out? Do you lack a little pep in your day? On the path of excellence, there are both roses and thorns and we all feel the same at some time and I am definitely not an exception. The key to dealing with such a mood is to find a way to lift our spirit so that we can soar like an eagle;one immediate way of doing this comes from a very simple source that is available to each of us-words. 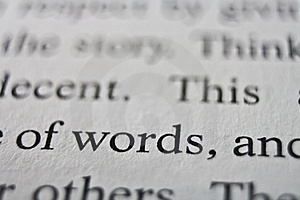 The latent power of words can help to us to start with vigor and finish strong. I always find motivational quotes a great pick-me-up not just at the start of my day,but they are a shot in the arm as the day progresses. For many. the jolt of caffeine is a breath of fresh air. My caffeine is found in inspiring words which can immediately help to give an extra pep. Employers should also use such quotes to give their staff a boost. This could be in the form of wall posters or just a few verbal quotes uttered at the right time. 4. Warren Buffett: You only have to do a very few things right in your life so long as you don’t do too many things wrong. 8. Henry Ford: Whether you think you can or whether you think you can’t, you’re right! 12. Lee Iacocca: Management is nothing more than motivating other people. 15. Max Schmelling: Why did I want to win? Because I didn’t want to lose! 18. Tony Dorsett: To succeed… You need to find something to hold on to, something to motivate you, something to inspire you. 21. Peter McWilliams: To the degree we’re not living our dreams; our comfort zone has more control of us than we have over ourselves. As champions of excellence, you may be employers or supervisors and you could add these quotes inside the employees’ paycheck envelope. Sometimes a motivational quote can help, at other times a silly antidote. Include employee birthdays or other important events to help your employees feel a part of the team. Remember progressive leadership is when you progress and also help others progress.